This diminutive table and decorative design elements make it an intimate, sophisticated addition to any room. The wood table top is finished in a deep, black lacquer then hand-rubbed and buffed to a soft glow. 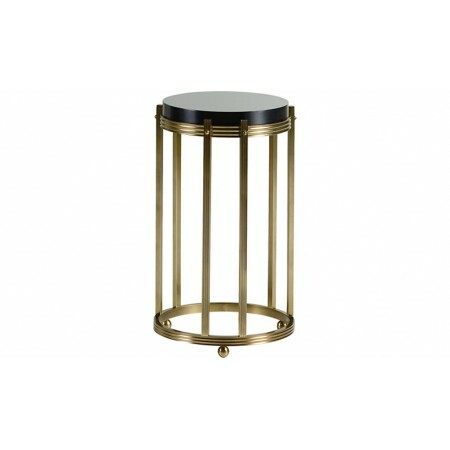 The table top rests on six solid brass legs finished in Polished Bronze. The legs are joined by a roll formed solid brass stretcher before terminating to tiny ball feet.